Team New Zealand joined their three confirmed challengers for the 36th America's Cup in England for the official launch of the next regatta here in Auckland in 2021. This follows the Team's five-course announcement that is user-friendly for land-based spectators. 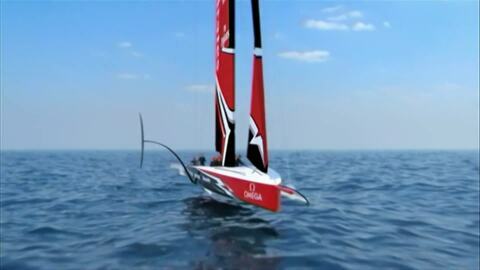 An agreement has been reached on the Auckland waterfront venue for the America's Cup in 2021. Youngsters of Ngāti Whātua Ōrākei are benefiting from the teachings of Emirates Team New Zealand. CEO of Emirates Team New Zealand Grant Dalton took part in a sailing programme in Auckland which offers Māori kids the opportunity to sail. It's part of their unique partnership with local iwi Ngāti Whatua in the build-up to the Americas Cup. Taroi Black with this story. Ngāti Whātua Orākei iwi spokesperson, Ngarimu Blair told Te Kāea that they're still considering their final position regarding the 36th America's Cup. A parade celebrating Team New Zealand and the America's Cup is underway in Edgecumbe. 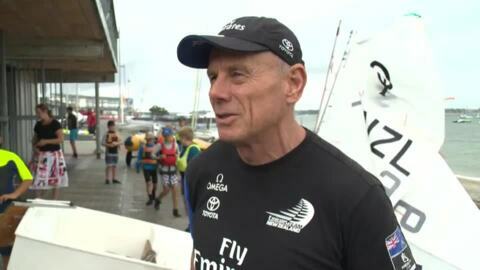 It was a family affair as New Zealanders came from all over the country to celebrate the America's Cup win. Rereātea brings you the latest news live from Aotea Centre today for the highly-anticipated Parade for Emirates Team NZ and the Auld Mug. Kimiora Kaire-Melbourne and Wikitōria Day take you through what's happening in Auckland's CBD right now. The Green Party MP Marama Davidson says the government's $5 mil investment in Team New Zealand is a waste of money and should be spent in other areas like social housing. The government says the money will be used to retain key staff from the successful Bermuda campaign. Heather Burling, mother to helmsman Peter Burling spoke to the Kawe Kōrero team about her son and New Zealand's America’s Cup victory.